Granger and Nell investigate the case together on "One More Chance." Kensi stakes out the mall by sitting on a bench with a baby carriage. Deeks poses as a shoe shiner at the mall. He shines John Stikler's shoes. Marty Deeks chases John Stikler through the mall on "One More Chance." 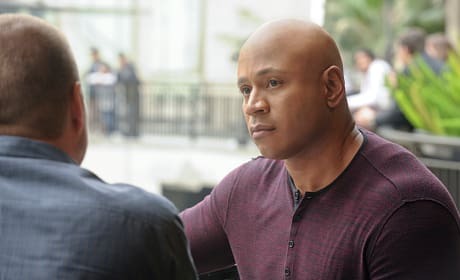 Sam sits with Callen while on a stake out in a mall on "One More Chance." 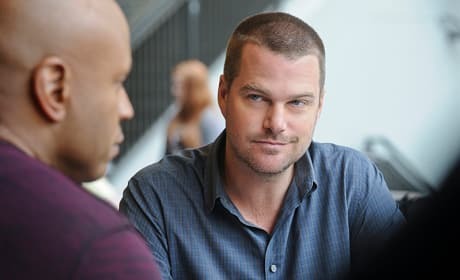 Callen smirks at Sam while they are staking out a mall on "One More Chance." Sam and Callen grab and question John Stikler, played by Lawrence Kao, at the mall. 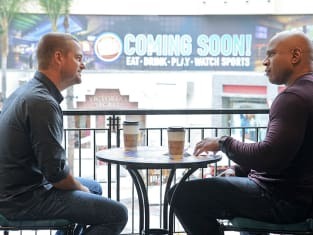 Callen and Sam hang out at the mall while investigating a case.